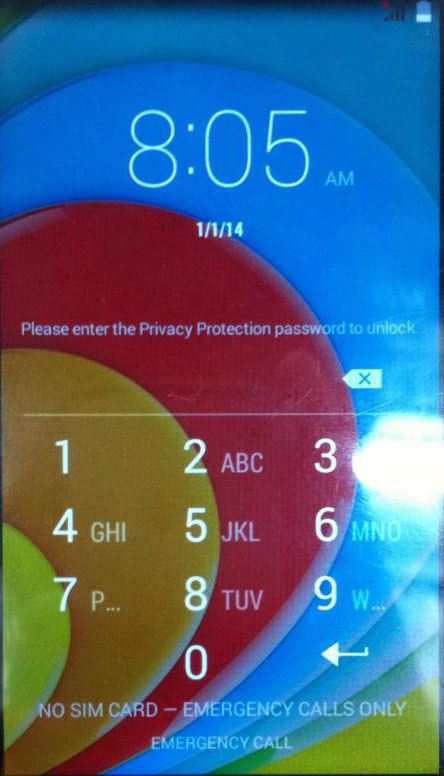 is your phone ask please enter privacy protection password to unlock? Then here is the solution on how to fix privacy protection password, this will happen to some cherry mobile, oplus, skk phone and other brand. it will lock automatically with different reason. How to fix please enter privacy protection password to unlock in your android device. NOTE: This will delete some of your data like contacts, SMS and some other third party apps in your phone. After clicking on Reset Privacy, Just follow the instruction of the application, it says Reinsert phone battery. If your phone doesn't connect or detected, you may need to install some drivers. Do not Turn on yet because if you turn on, Privacy password will come back instead. Before turning on. Perform Hard Reset first by pressing Volume up + Power button and select wipe user data and cache. After performing these steps, would we need to flash the ROM or use stock ROM? Also, what's the MTXXX for Cherry Mobile Flare J3? can it work with Hisense u602? Sir if i flash my CM J2 the privacy unlock will be removed?? or i will perform this steps after flashing?? SO I just have to use it and then no flash of stock rom? mtxxx for cherry mobile flare s3 power pls. for Cherry Mobile Flare J2 v2, its Mediatek MT6580. Is this applicable with cherry cube 2 Sir? MTXXX for Cherry Mobile Flare Selfie please. mediatek for cherry mobile flare selfie please? or if ever not, is there any other way to fix the issue? Thanks for the reply, though i am finding an updated rom for cmfs, which has the updates already. I can't update mine because it bootloops when it installs every time (because i rooted it once, and i removed it) and I need to flash a new stock ROM + format which I did as my last resort in flash tool. hnd po ma read and phone? ng charge lng? Cherry Mobile Flare S5 Plus po. sir pwede po ba ito sa cm comet? there is no MT6753 what should i do? Para po sa mga naka Flare S4 na walang MT6753, Flashing nalang po ang solution jan. PM us on facebook.com/gsmsolutionph for further assistance. Good evening po, ano po MTXXX for Cherry mobile flare s5? Thank you. flare j3 ano po mtxxxx nya? Flare S5 Lite DTV po. sir ano po mtxx sa cherry mob. rio junior tv?? cherry mobile Flare X pls ? sir cloudfone excite prime MT? how to download the application??? gagana po kaya to sa CM TOUCH XL 2 ? Sir, sa Flare J3 Plus po? Remove Privacy Protection password of Cherry Mobile Flare J3 Plus, Just Select MT6580. -then what kind of drivers must be installed for my phone to be detected? sending DA agent pls wait ? ano po ibig sabihin ? ok naba kelangan na lng ba hintayin matapos ?? sir stock rom po ng zh & k odyssey glamour..link po plz..
Master Vir Flare S4, MediaTek MT6753 tama ba? Sir meron na po ba kayo for Cloudfone Thrill Plus? MT po ng Starmobile Play Lite.. salamat po..
Flare J1 Plus po. Thankyou in advance. How about in Cloudfone thrill HD sir? hi sir. do you know the mtxxx of cherry mobile cosmos model: CM-11B? Cherry mobile omega hd 3 mtxxx pwede po? Cherry Mobile W900 po anong mtxxx?